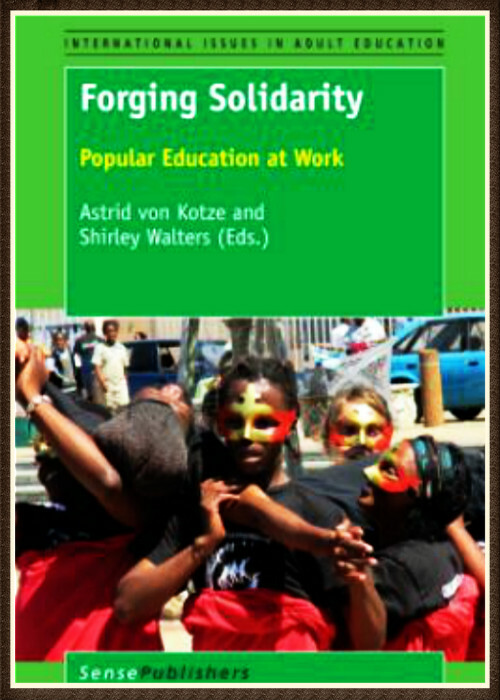 TITLE: "Forging Solidarity - Popular Education at Work"
WHO IS THIS FOR? Trade union members, labour educators, study circles and labour NGOs. This publication looks at what ways adult and popular educators are responding to various harsh economic, political, cultural and environmental conditions. Are they planting seeds of hope for and imaginings of alternative futures which can connect individuals and communities locally and globally to achieve economic, ecological and social justice? The book illustrates how transformative politics of solidarity often involve actors across vastly different backgrounds. The authors put popular education to work by describing and analysing their strategies and approaches. They do so using accessible language and engaging styles.